When you are on the road, a dessert might be the first thing you will skip because it is too much effort but it doesn't have to be that hard. It can be a fun thing to do with the kids, to let them make their own sweet dessert. 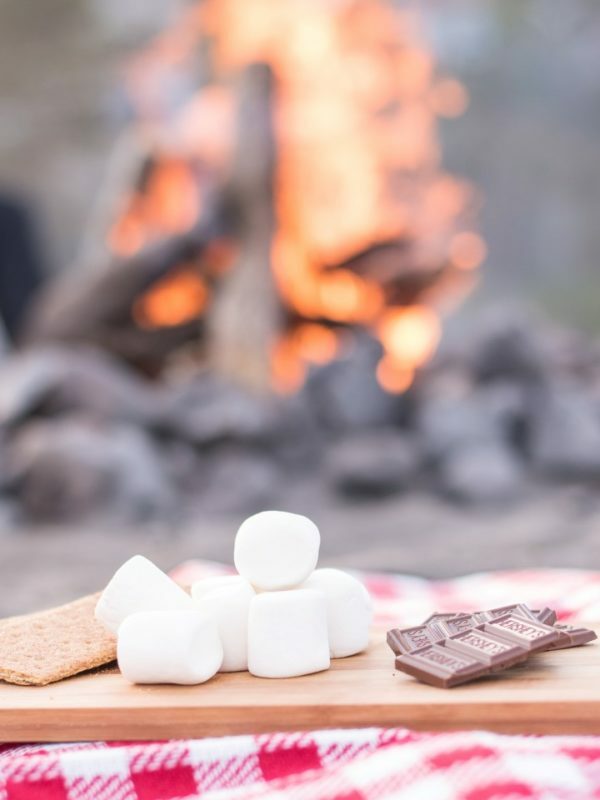 We've gathered some delicious easy camping dessert recipes that only take 5 minutes of preparation time. This is definitely the favourite of our easy camping desserts and we made it ourselves again not so long ago. We decided to film it and that is how the idea for Camptoo’s Camping Kitchen started. So for our favourite camping recipe you don’t need much, it will take you about five minutes to prepare and it is absolutely delicious. Don’t expect these banana boats to look like something in a magazine because this is one is all about the taste! First, we are going to make a boat out of the banana by cutting out the top of the banana so we have the opening of the boat or canoe. Take a spoon to make some room for the sweet stuff by pushing down the banana in its peel. Break the chocolate into pieces and put together with the marshmallows on top of the banana. Wrap in tin foil and put on the barbie or in a pan. Leave on until chocolate and marshmallows have melted. Usually takes around 10-20 minutes. 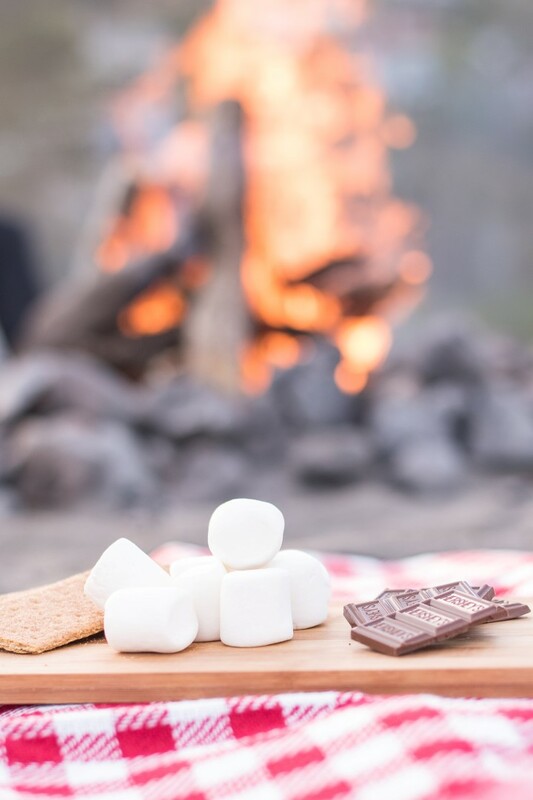 It is always good fun to roast marshmallows above the campfire and with this ‘smores recipe, you can make it even more special. Put a piece of chocolate on a biscuit. Roast marshmallow above the fire and put the marshmallow on top of the chocolate. Put another biscuit on top to make a sandwich and wait for the marshmallow to melt the chocolate. An easy but just as delicious dessert made per person in a glass, so every family member can have their own glass dessert! 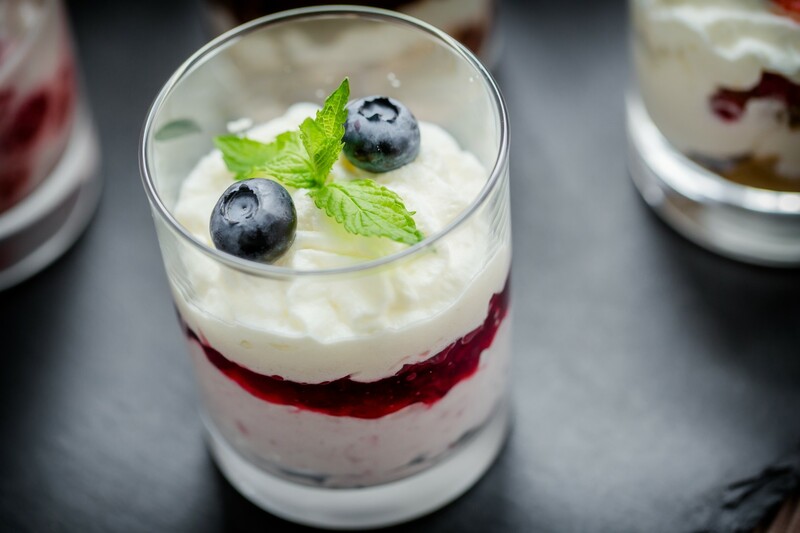 You can vary quite a bit with flavours, and ingredients but the basis is made out of yoghurt, lemonade concentrate, whipped cream(or something else that is sweet) and fresh fruit. You can also use a cup or something else but in a glass, you can clearly see the layers which is a treat for the eye as well! Add some yoghurt to the glass and make sure it is spread out evenly over the bottom. If you’ve done that correctly (works best with a bit thicker yoghurt like Greek yoghurt) then when you add the lemonade concentrate in the next step it will stay on top of the yoghurt. Add the whipped cream after the lemonade concentrate and top off with fresh fruits. You can vary with different flavours of yoghurt, lemonade and different fruits. If the lemonade layer runs down over the yoghurt, you can also start with the lemonade layer but we think it looks prettiest if it’s in the middle. Doesn’t matter for the taste though! Enjoy! Do you have any easy camping desserts that you like to make? Let us know in the comments. Camptoo? What do we do? We are a platform that connects motorhome, campervan and caravan owners with people that want to rent their vehicles. How could potentially help you?